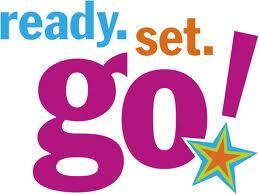 It's that time of year again; the time to create a solid marketing plan for your real estate business for 2014. I talk a lot about making plans, goals and those sorts of things. But the reality of it is that without a plan or a “road map” you won't get very far. This time last year I wrote a post about exactly how you could lay out your marketing plan for the upcoming year. I'm curious; how did you do? 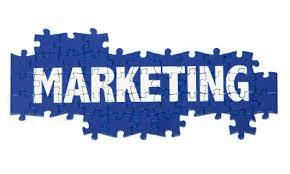 Did you take the time to create a marketing plan for your business? If the answer is yes, how successful were you at following it? Did you manage to stay on track? Whether you answered yes or no isn’t really important today. We are about to embark on a brand new year and everyone gets a “do-over”. Just wipe the slate clean and start fresh. Don’t be weighed down by the results of the past 12 months. Learn from what worked, and also from your mistakes and move on. Take some time in the next few days and create a plan to grow your business, your income and your peace of mind in 2014. Hi Sharon, I listened to your podcast on bigger pockets and was very interested in what you are doing. My husband and I are just starting out in real estate investing and are planning our marketing strategy for the rest of the year. I’m wondering what tips you can give me as to the content of postcards, what is essential to include on them? Jana – Don’t try to reinvent the wheel. Postcard companies hire professional copywriters for their postcards. I use yellowletters.com for my postcards.They will end you a sample packet. They will do the job for you for the same price or less than you can do it yourself. I never use yellow letters. You can request a sample packet from them. If you want to use my affiliate code you can save about 15% on your first order. It is vornholt5. You want your PC’s to be personalized. Market Plan should be good if you want to take your business at the height of the success. Agreed. It has to be an actual plan even if it is a simple plan. Thanks for stopping by. I was thinking about you recently. I really enjoy your publication, and I hope to be able to submit a few articles to you this year. It’s good to hear from you.